WALK UP REGISTRATION IS STILL AVAILABLE SATURDAY, JUNE 2, FROM 6:30-7:30 AM AT CITY HALL! Any registrants after the 28th are not guaranteed a t-shirt! 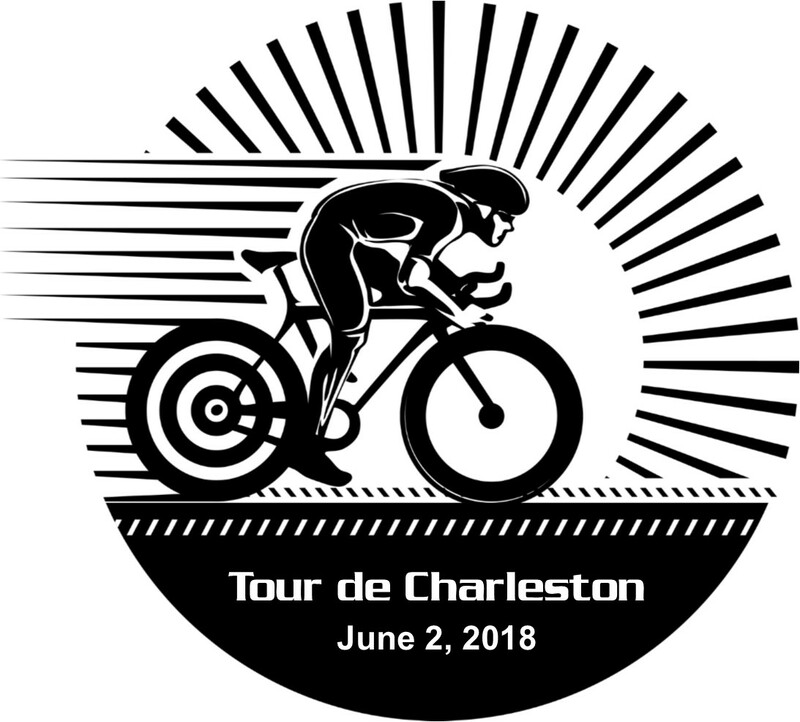 The 2nd Annual Tour de Charleston, presented by the Charleston Area Chamber of Commerce, offers cycling courses of 12.5, 25, and 50 mi distance. 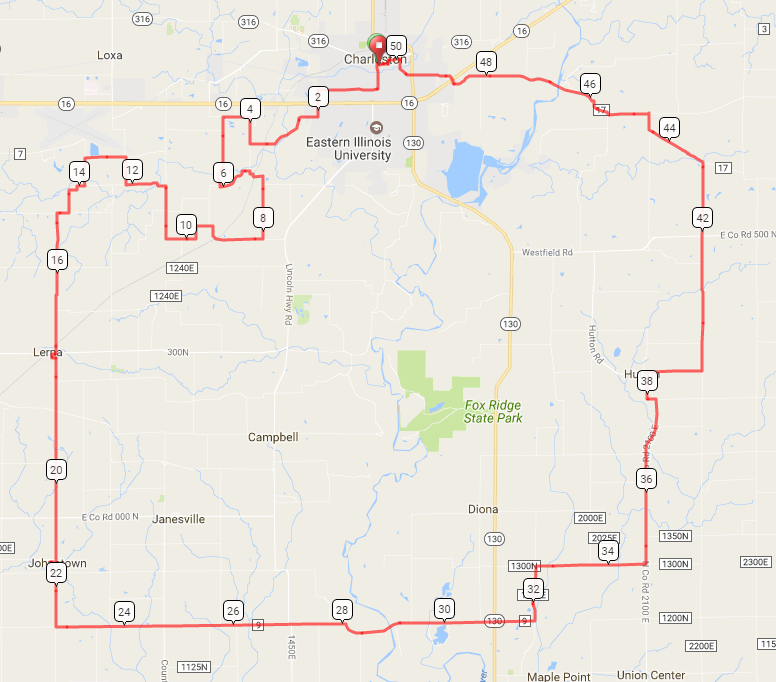 The 3 courses begin at the historic Coles County Courthouse Square in Charleston, Illinois, and travel through scenic rolling hills and bucolic rural landscapes in Coles & Clark Counties. The Tour de Charleston Bike Race is a timed event. All participants who pre-register will receive a participant packet and a tshirt. 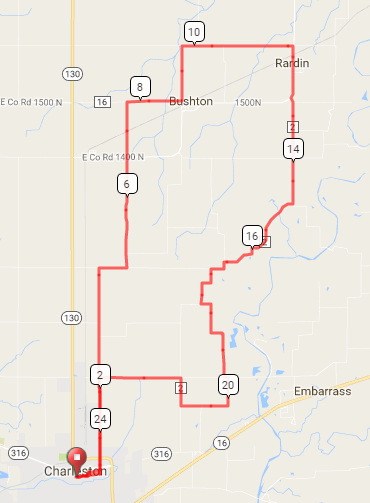 Whether you're interested in improving your time or just enjoying the view, it’ll be a great day; At the finish line, you'll be greeted with music, a live DJ, and an awards ceremony following the events. Musefest hosted by CTF will also be taking place around the Square on the afternoon of June 2nd. 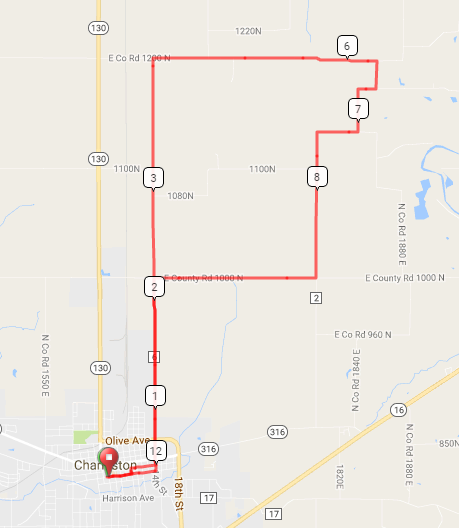 The race start location will be the Charleston City Hall located 520 Jackson Avenue located in the southwest corner of the historic Coles County Courthouse Square. Mass start will begin at 8:00 AM. Signed waivers, ID, and helmets ARE required. Please dress according to the weather. The Unique Suites Hotel will be offering a 20% room discount and a 10% food discount. to all participants, friends, & family if you mention the Tour de Charleston!